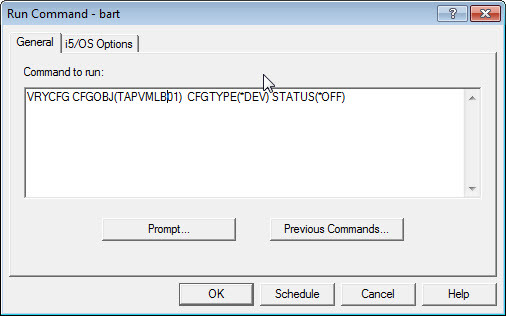 There is a very simple how to submit any IBM i command across multiple systems. The main requirement for it is the Management Central. It’s very handy function when you want to perform a command against multiple systems and you are interested in the result. For instance, you can use it for varying off the tape library in order to perform some maintenance on the device. 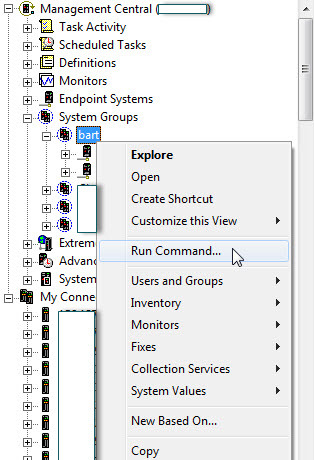 When you have the group created with multiple system, right click the mouse button and select Run Command.. The management central may be used for many others things, such as creating users, synchronizing system values. 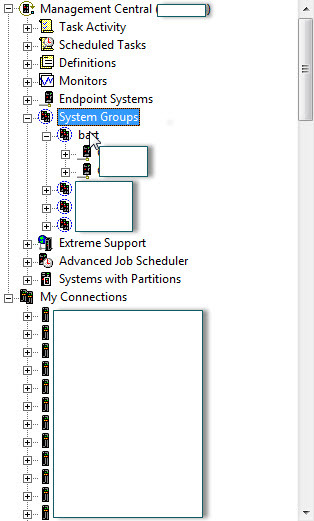 I use this all the time in System i Navigator. Sad that it’s not included (or I have not found the same) in Navigator for I, the product that supersedes System i Navigator.